River or lake. . .guided adventure or on-your own. . .free (with license, of course) or “pay-for-play”—Cody Country takes a back seat to no area when it comes to fun-producing fishing opportunities. 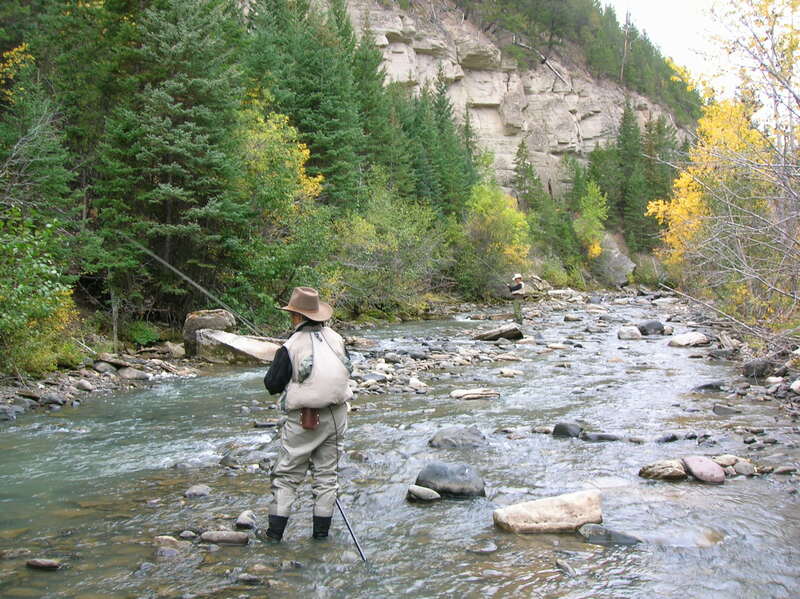 The North and South Forks of the Shoshone River, the Clark’s Fork of the Yellowstone River and the legendary rivers of Yellowstone National Park—Madison, Firehole, Lamar, Gibbon and the Yellowstone itself—are reason enough to visit Cody Country to test your angling skills. Add it all up and the area offers more than 2,000 miles of fishing waters where brook, rainbow, cutthroat and brown trout and grayling will provide the challenge. If lake fishing is more to your liking, Buffalo Bill Reservoir and a myriad of high country lakes provide all the challenge you're looking for. Cody Country outfitters can get you to the special places, or you can go it alone. Lace ‘em up! Whether it’s a short walk to clear your mind or a testing hike up Heart Mountain, Cody Country showcases virtually unlimited hiking opportunities. The trails in the Shoshone National Forest (North and South Forks of the Shoshone River, Crandall Creek and Sunlight Basin, the Clark’s Fork Country) and the hundreds of miles of Yellowstone National Park will provide opportunities to immerse your senses in this special area we call the Greater Yellowstone Ecosystem. Surrender to the quiet and enjoy the flora and fauna of Cody Country. 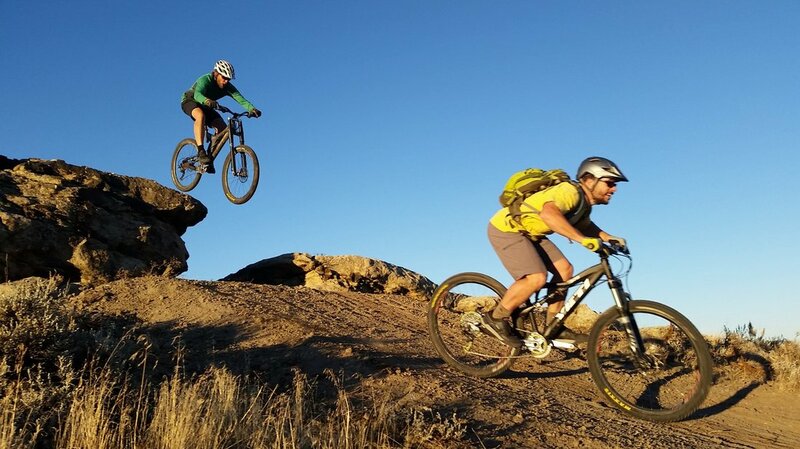 Mountain biking in Cody offers a wide array of world-class trails and vistas thanks to our very compressed geology and vast expanses of public lands. There is something for everyone and enough to keep you busy for several days, and that is just to see the highlights. World-class is no exaggeration, and outside the Beck Lake trails, you are unlikely to encounter another rider. 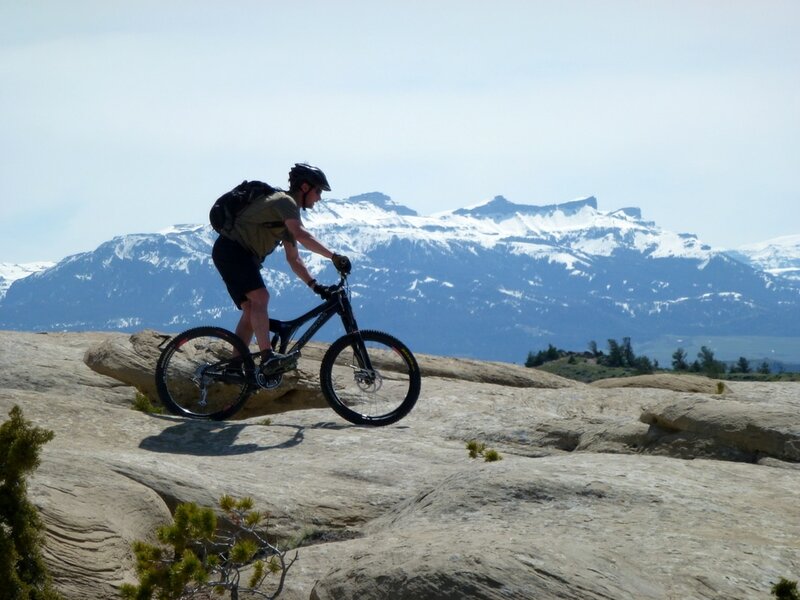 Starting within the City of Cody, the Beck Lake Trails and Bike Park focus on easy to ride trails, heavily sculpted flow trails and natural rock lines. Beck Lake provides the ideal setting for progressing your riding skills before tackling the more remote and difficult trails in the area. Beyond Beck Lake, more advanced riders have a wide choice of trails ranging from Slickrock to desert to high-alpine. Looking for a bike park with jumps, drops and a pump track, then head to the Beck Lake Bike Park. The ParkCountyPedalers.org website is your jumping off point where you can learn more about the riding scene and view images and videos of local trails. For you roadies looking for local favorites there is a wide range of options. Want big mountain climbs? Head up to the Chief Joseph Scenic Highway at 8048 feet (Wyoming 296) or the highest elevation paved road in the Northern Rockies, the epic Beartooth Highway (US 212) at 10,947 feet. The Southfork Road (WY 291) is a long dead end that gets more scenic, less travelled and narrower the further out you go. Want some pavement with no traffic, then the Oregon Basin road (Rd 3FK) is for you. For riders not used to riding in the West, the Cowboy way of self-reliance certainly applies. Services, such as a place to get water or food, are few and far between and there are no shortcuts home. Wyoming is “first in outdoor America,” i.e., the first national park (Yellowstone), first national forest (Shoshone) and the first national monument (Devils Tower), and a check of your map will tell you that two of the three are in Cody Country, and that means unmatched camping opportunities. Pitch a tent by a river or pull your motor home into a full hook-up RV park. You’ll find Cody Country can accommodate any camping need. Commercial campgrounds, some with swimming pools, are located in and around Cody. Buffalo Bill State Park has two campgrounds along with boat ramps and picnic areas. The Shoshone National Forest offers first-come, first-served opportunities in more than 30 campgrounds along the North and South Forks of the Shoshone River and in the Crandall-Sunlight area north of Cody. And, of course, there is Yellowstone National Park with 11 campgrounds and the Fishing Bridge Recreational Vehicle Park. Fees vary at the state and federal areas, and all campers should be aware of regulations regarding staying in grizzly bear country, including food and trash storage and proper precautions with fire. Hey, it’s wild country and we want you to be safe while you enjoy this special place. 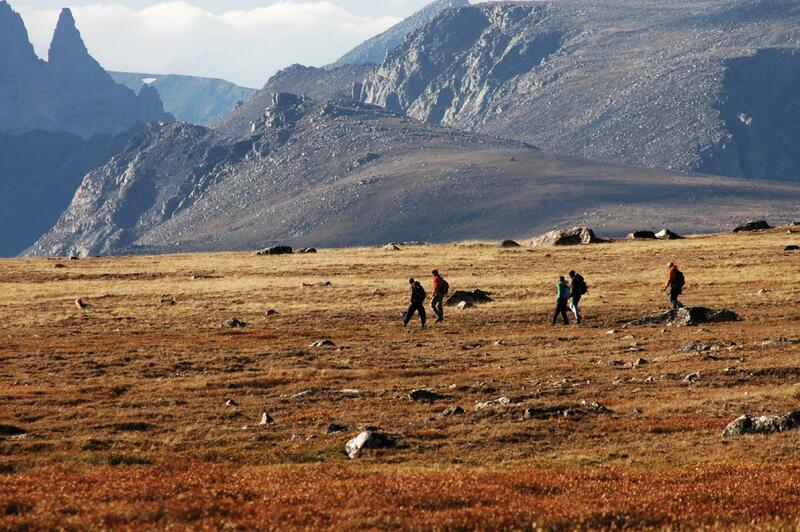 For a once in a lifetime back country camping trip in Cody Country ask a Cody Country outfitter to pack you in to the mountains for a wilderness adventure. Cody hosts a variety of rock climbing possibilities. 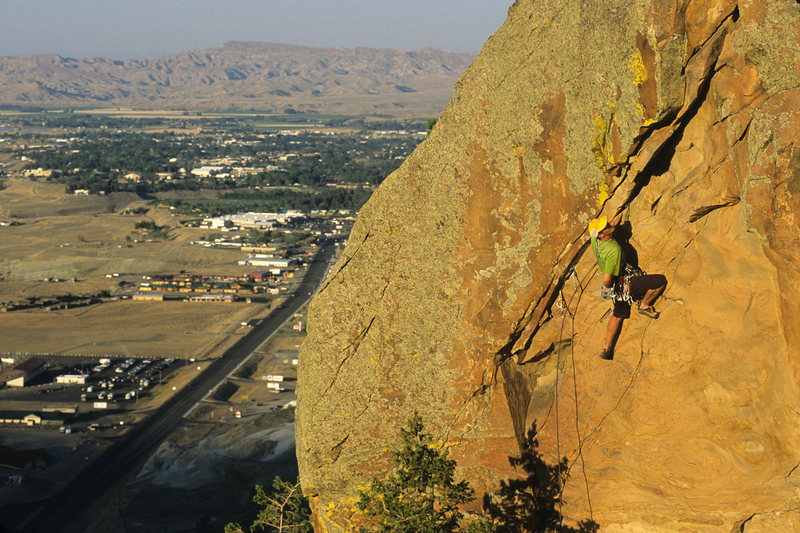 Whether it's bouldering on sandstone, climbing sport and traditional routes on limestone or granite, or high-altitude mountaineering on the highest peaks in Wyoming and Montana. Whatever your passion is you can get your fix here. Information regarding instruction and/or guiding is available at the Cody Country Chamber of Commerce or Jackson Hole Mountain Guides. Shooting straight is only part of the challenge of a successful hunt in Wyoming. At the top of the list is securing a highly-sought-after Wyoming big game license. Once you’ve been selected for a pronghorn, mule deer, elk, moose or bighorn sheep permit, your next best step is to visit with a Cody Country outfitter to maximize your odds for a successful hunt. Cody Country outfitters and guides have a well-earned reputation for providing high quality hunting camps, outfitted with mountain tested horses, top drawer equipment, mouth-watering food and the knowledge of the high country that will put you in place for a chance to complete your hunt successfully. Check ‘em out. You’ll thank yourself later. Link to the Wyoming Game and Fish Department and they'll fill you in on the latest regulations and information about applying for the various hunting and fishing licenses. You really haven’t experienced the “Real West” until you’ve straddled a saddle and ridden a mountain pony on one of the hundreds of miles of trails in Cody Country. Topping the list of “horse experiences” is spending time on an area dude or guest ranch or on a wilderness pack trip in the Shoshone National Forest or Yellowstone National Park with a Cody Country dude ranch or outfitter. 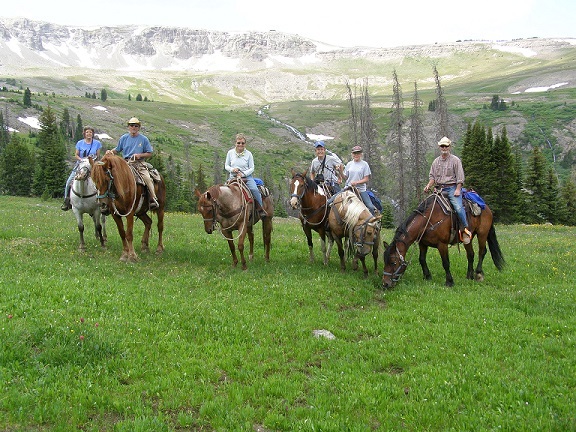 However. . .if your time is limited, you can still sample saddle leather on a short trip on Cedar Mountain or a half or full day ride with a number of Cody area horseback operations into the nearby Shoshone National Forest. We’ve provided the links to our horseback riding providers. Your job is to hitch up your Wranglers, set your cowboy hat, bow your legs and get ready for a true western experience. How do you like your water, mild or wild? The Shoshone River provides the setting. Cody river operators provide the means. All you need do is enjoy the experience. 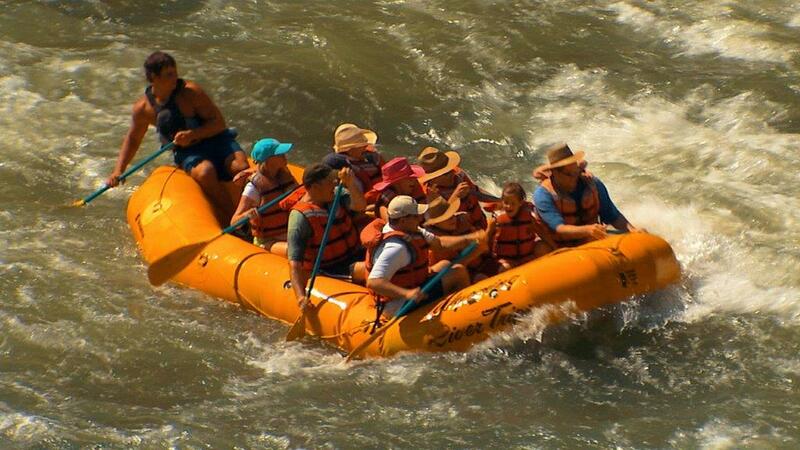 Floating the Shoshone is fun for the entire family, and it’s a spectacular way to view wildlife and get an up-close-and-personal look at the geology of this area. Short trips are about 2 hours, longer trips are about three, and during the late spring/early summer half day trips on the North Fork provide the best opportunity for whitewater adventure. Guides are knowledgeable about the history, geology, flora and fauna of Cody Country and add to the overall experience. For the more adventuresome do-it-yourself set, this area has excellent kayaking. The “play areas” of the Shoshone provide hours of fun, and those in the know will tell you that the Clarks Fork has some world class challenges for the experienced kayaker. 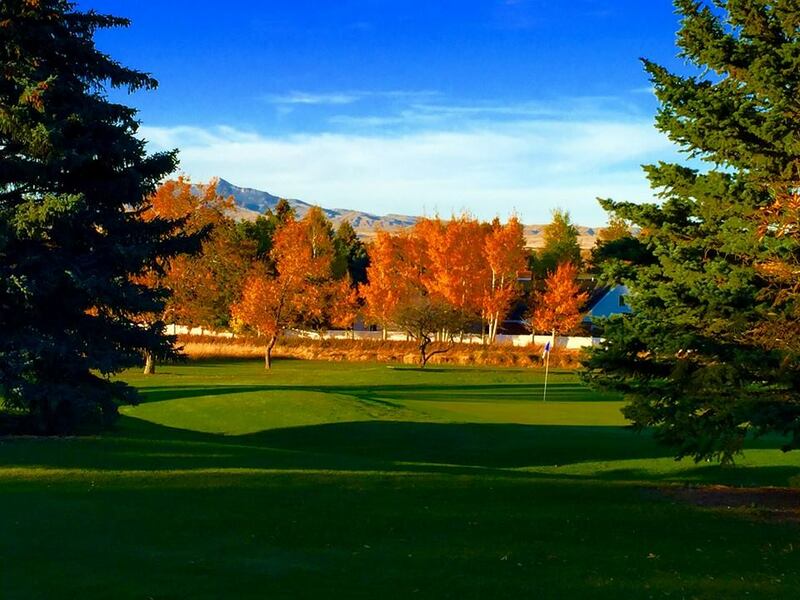 The Olive Glenn Golf & Country Club is a challenging 18 hole, par 72 championship golf course combining scenic mountain terrain with open fairways, manicured greens, and imaginative use of water and lakes. The resident PGA Golf Professionl offers a full service golf shop and practice facility including lessons, driving range, and putting green. Rental clubs, carts and club storage are also available. The Big Horn Basin area provides some of the most diverse and spectacular OHV riding opportunities in the world directly from most towns in the region. 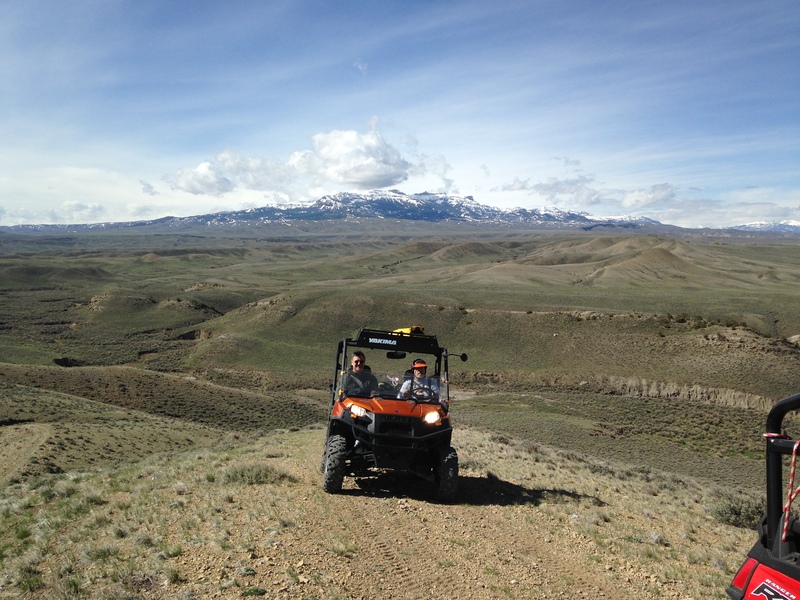 The BLM has thousands of miles of trail systems that you can ride on almost all year round. These opportunities include very easy two track systems where you can experience wildlife (wild horses, eagles, elk, mountain lions, bear, mountain goats, big horn sheep, deer, antelope, and etc. ), historical sites, natural wonders, and picturesque scenic vistas. It also provides for more challenging dirt bike and ATV trails for the more adventurous and skilled crowds with opportunities to ride from the Badlands into the Big Horns or SNF in the same day. The fun doesn’t stop when the snow flies in Cody Country. No way! Snowmobiling, skiing, and ice climbing are just a few of the winter sports you can still enjoy. 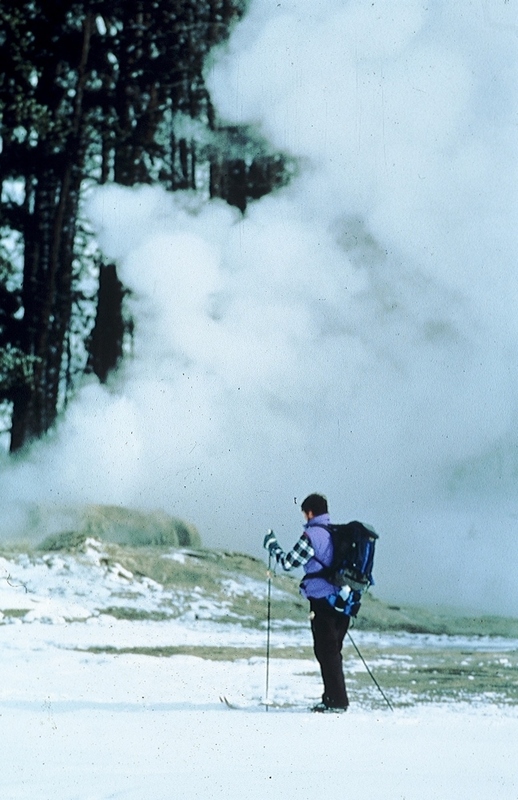 Yellowstone National Park is open to winter use from the East Entrance. The Shoshone National Forest is also a superb setting for cross country skiing and snowshoe activity. 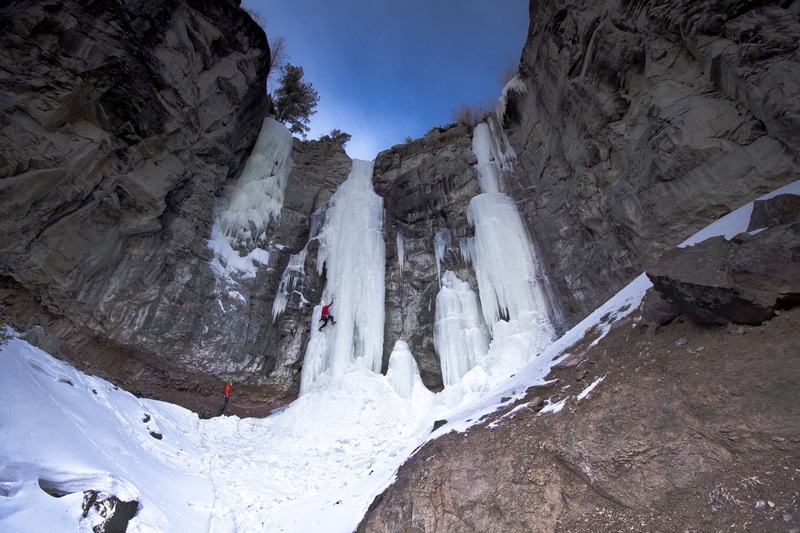 When it comes to ice climbing, the South Fork of the Shoshone River is rated at or near the top for those in the know. This is an activity for experienced climbers. Cody is host to an annual ice waterfall festival in February. Sleeping Giant Ski Area offers everything from ski lessons to equipment rentals. Ski or snowboard on 49 runs covering 184 acres. Hang out at the Grizzly Grill after you've had a great day on the slopes. Cross country skiing, either on developed trails or through the forests and wilderness, is limited only by the skier's imagination and muscles. Many groomed trails are ready for use after the first heavy snowfall. The trails start from Sleeping Giant Ski Area and Pahaska Tepee Resort near the East Entrance to Yellowstone Park. This area offers over 25k of groomed tracks and over 24 miles of challenging forest service trails through the native wilderness. Cross country equipment can be rented at Shoshone Lodge, and Sunlight Sports in Cody. The Wood River Valley Ski Touring Park is 22 miles southwest of Meeteetse and offers 25k of groomed trails, back country trails, a warming hut at the trailhead, and an overnight tent available by reservation. Other trails are groomed in the Crandall / Sunlight Basin area. A more remote, secluded adventure awaits the winter pioneer there.